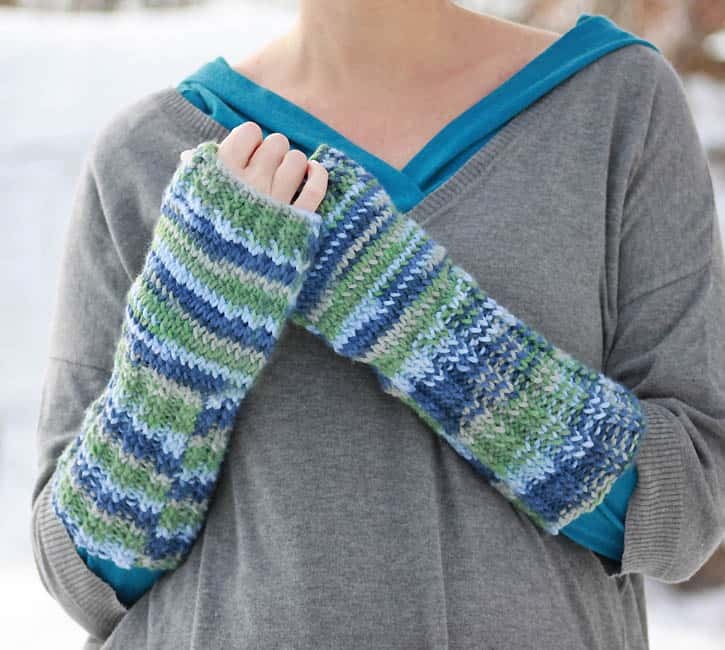 These fingerless gloves are a great beginner knitting project! 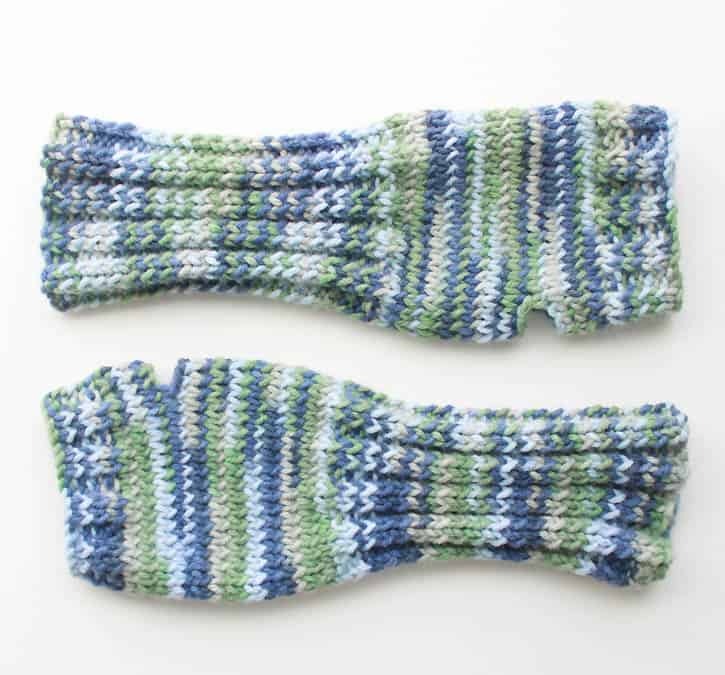 I made the cuffs extra long and chose a pretty self striping yarn for some color. With no. 5 needles cast on 32 stitches. Switch to no. 3 needles and work in K 2 P 2 ribbing for 6 inches. Change to no. 5 needles and work in Stockinette stitch until length from last row of ribbing is 2 1/4 inches. End with a Purl row. Knit across first 16 stitches. Bind off the next 5 stitches. Knit across the rest of the row. Cast on 5 stitches. Knit to the end of the row. Next row: Purl, Cast on 5 stitches over the stitches you binded off. Continue in Stockinette stitch until length from last row of ribbing is 5 inches. Work in K 2, p 2 ribbing for 3/4 inch. Bind off in ribbing. Sew side seam. Knit across first 13 stitches. Bind off the next 5 stitches. Next row: Purl, Cast on 5 stitches over the stitches you binded off. Complete as for Right Mitten. Thank you so much for this pattern. I love fingerless gloves and can't wait to try this out.